"Road Trip!" -- Ahhh... the open road! What a perfect metaphor to remind ourselves to enjoy the journey as much as actually arriving at our destination. After all, there may be some construction and a few roadblocks along the way, but exploration is good for the soul! This is why the Dalai Lama said, "Once a year, go some place you've never been before." Listen to Rev. 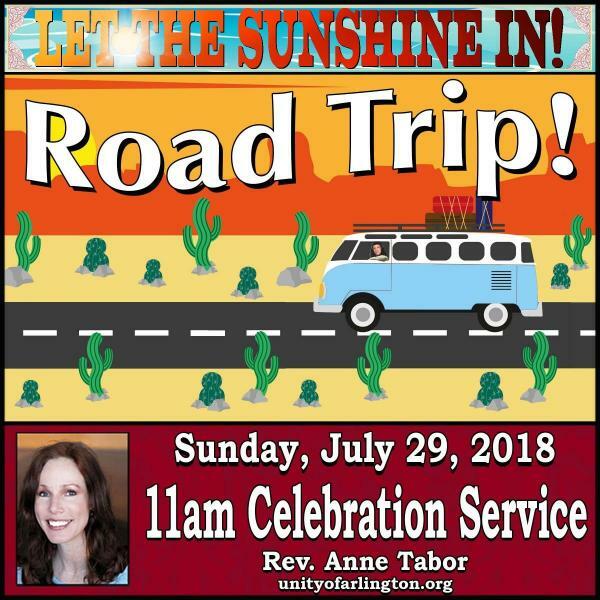 Anne's conclusion of her four-part talk series, Let The Sunshine In!, as we discover why a road trip for your soul is one of the best things you can do to shine your light in the world.